Colorful and festive, our Mardi Gras Decorating Kits are a must-have for any "Fat Tuesday" Celebration. 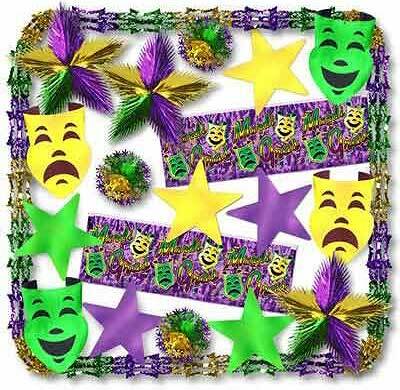 Each Mardi Gras Kit includes a Banner, Cut-Outs, Tissue Balls and More. 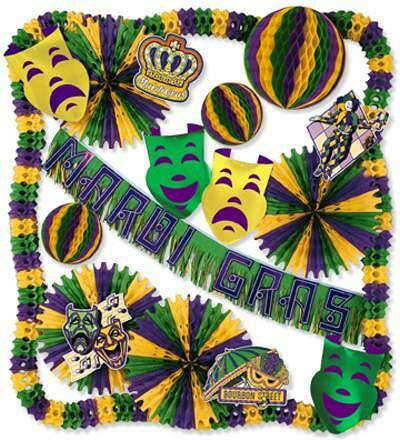 •1..... 6' Metallic MARDI GRAS Banner. •2..... 4' Metallic Mardi Gras Banners. We also offer a wide selection of Holiday Decorations, Including St. Patrick's Day Decorations, Oktoberfest Decorations, New Year's Decorations, and More!